Are you looking for a good deal on a new Chevy near Sarasota? 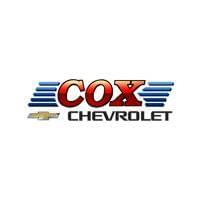 Cox Chevy has you covered! At our dealership, you’ll find a variety of vehicle specials going on, including brand-new Chevy models, like the 2019 Chevy Corvette, with the latest in performance, technology, and safety. Check out our research center to get a sense of what’s out there, and compare different Chevy vehicles to get a better idea which one is best suited for you. When you’re ready, come by our dealership in Bradenton for a test drive! $5,712 off MSRP! Priced below KBB Fair Purchase Price! This 2019 Chevrolet Equinox LT in Nightfall Gray Metallic is well equipped with: 3-Spoke Leather-Wrapped Steering Wheel, 8-Way Power Driver Seat Adjuster, Bluetooth® For Phone, Confidence & Convenience Package, Driver Confidence Package, Driver Convenience Package, Dual Zone Automatic Climate Control, Heated Driver & Front Passenger Seats, Lane Change Alert w/Side Blind Zone Alert, Leather-Wrapped Shift Lever, Outside Heated Power-Adjustable Mirrors, Rear Cross Traffic Alert, Rear Park Assist w/Audible Warning, Rear Power Liftgate, Remote Vehicle Starter System, Universal Home Remote. 26/32 City/Highway MPG Included 2 Year Complimentary Basic Maintenance / In Business Over 90 years / Call 1-888-844-3454 For Details. %Off Offer includes price reduction below MSRP and Cash Allowance. On Select 2019 Chevrolet Vehicles. Not available with special finance, lease or other offers. Take new retail delivery by 04/30/19. GMF Down Payment Assistance. Cash usable only if financed through a supported or unsupported GMF contract. NOT Compatible with Standalone APR Program. Customer must qualify and finance with GM Financial. See participating dealer for details. %Off Offer includes price reduction below MSRP and Cash Allowance. On Select 2019 Chevrolet Vehicles. Not available with special finance, lease or other offers. Take new retail delivery by 04/30/19. GMF Down Payment Assistance. Cash usable only if financed through a supported or unsupported GMF contract. NOT Compatible with Standalone APR Program. Customer must qualify and finance with GM Financial. See participating dealer for details. %Off Offer includes price reduction below MSRP and Cash Allowance. On Select 2019 Chevrolet Vehicles. Not available with special finance, lease or other offers. Take new retail delivery by 04/30/19. GMF Down Payment Assistance. Cash usable only if financed through a supported or unsupported GMF contract. NOT Compatible with Standalone APR Program. Customer must qualify and finance with GM Financial. See participating dealer for details. $5,665 off MSRP! Priced below KBB Fair Purchase Price! This 2019 Chevrolet Equinox LT in Red Tintcoat is well equipped with: 3-Spoke Leather-Wrapped Steering Wheel, 8-Way Power Driver Seat Adjuster, Bluetooth® For Phone, Confidence & Convenience Package, Driver Confidence Package, Driver Convenience Package, Dual Zone Automatic Climate Control, Heated Driver & Front Passenger Seats, Lane Change Alert w/Side Blind Zone Alert, Leather-Wrapped Shift Lever, Outside Heated Power-Adjustable Mirrors, Rear Cross Traffic Alert, Rear Park Assist w/Audible Warning, Rear Power Liftgate, Remote Vehicle Starter System, Universal Home Remote. 26/32 City/Highway MPG Included 2 Year Complimentary Basic Maintenance / In Business Over 90 years / Call 1-888-844-3454 For Details. %Off Offer includes price reduction below MSRP and Cash Allowance. On Select 2019 Chevrolet Vehicles. Not available with special finance, lease or other offers. Take new retail delivery by 04/30/19. GMF Down Payment Assistance. Cash usable only if financed through a supported or unsupported GMF contract. NOT Compatible with Standalone APR Program. Customer must qualify and finance with GM Financial. See participating dealer for details. %Off Offer includes price reduction below MSRP and Cash Allowance. On Select 2019 Chevrolet Vehicles. Not available with special finance, lease or other offers. Take new retail delivery by 04/30/19. GMF Down Payment Assistance. Cash usable only if financed through a supported or unsupported GMF contract. NOT Compatible with Standalone APR Program. Customer must qualify and finance with GM Financial. See participating dealer for details. %Off Offer includes price reduction below MSRP and Cash Allowance. On Select 2019 Chevrolet Vehicles. Not available with special finance, lease or other offers. Take new retail delivery by 04/30/19. GMF Down Payment Assistance. Cash usable only if financed through a supported or unsupported GMF contract. NOT Compatible with Standalone APR Program. Customer must qualify and finance with GM Financial. See participating dealer for details. $8,667 off MSRP! Priced below KBB Fair Purchase Price! This 2018 Chevrolet Camaro 1LT in Summit White is well equipped with: 2 USB Ports & Auxiliary Input Jack, 6-Way Power Front Passenger Seat Adjuster, 8-Way Power Driver Seat Adjuster, Exterior Parking Camera Rear, High-Intensity Discharge Headlamps, LED Taillamps, Premium audio system: Chevrolet MyLink, RS Package, SiriusXM Satellite Radio, Wheels: 20" 5-Split Spoke Machined-Face Aluminum. 22/31 City/Highway MPG Awards: * Car and Driver 10 Best Cars Car and Driver, January 2017. Included 2 Year Complimentary Basic Maintenance / In Business Over 90 years / Call 1-888-844-3454 For Details. %Off Offer includes price reduction below MSRP and Cash Allowance. On Select 2018 Chevrolet Models. Not available with special finance, lease or other offers. Take new retail delivery by 04/30/19. GMF Down Payment Assistance. Cash usable only if financed through a supported or unsupported GMF contract. NOT Compatible with Standalone APR Program. Customer must qualify and finance with GM Financial. See participating dealer for details. $9,102 off MSRP! Priced below KBB Fair Purchase Price! This 2018 Chevrolet Silverado 1500 LT in Summit White is well equipped with: EcoTec3 5.3L V8 Flex Fuel, 10-Way Power Driver's Seat Adjuster, 110-Volt AC Power Outlet, All Star Edition, Dual-Zone Automatic Climate Control, Electric Rear-Window Defogger, Heavy-Duty Rear Locking Differential, Remote Vehicle Starter System, Theft Deterrent System (Unauthorized Entry), Thin Profile LED Fog Lamps, Trailering Package, Wheels: 20" x 9" Polished-Aluminum. Included 2 Year Complimentary Basic Maintenance / In Business Over 90 years / Call 1-888-844-3454 For Details. Price includes: $2,000 - General Motors Consumer Cash Program. Exp. 04/30/2019, $1,500 - GM Down Payment Assistance Program. Exp. 04/30/2019 Expires 04/30/2019 - Discount only applies to Select 2018 Chevrolet Crew Cab In-Stock Silverados. Expires 04/30/2019 - Discount only applies 2018 Chevrolet In-Stock Silverado. $5,504 off MSRP! This 2019 Chevrolet Corvette Stingray in Ceramic Matrix Gray Metallic is well equipped with: 8 Speed Paddle Shift with Automatic Modes, Automatic temperature control, Bose Premium 9-Speaker Audio System Feature, Performance Exhaust, Power driver seat. Included 2 Year Complimentary Basic Maintenance / In Business Over 90 years / Call 1-888-844-3454 For Details. $6,468 off MSRP! This 2019 Chevrolet Corvette Z06 in Torch Red is well equipped with: Automatic temperature control, Bose Premium 9-Speaker Audio System Feature, Heads-Up Display. Included 2 Year Complimentary Basic Maintenance / In Business Over 90 years / Call 1-888-844-3454 For Details. $7,124 off MSRP! Priced below KBB Fair Purchase Price! This 2018 Chevrolet Malibu LT in Summit White is well equipped with: 120-Volt Power Outlet, 3-Spoke Leather-Wrapped Steering Wheel, 6-Speaker Audio System Feature, 8-Way Power Driver Seat Adjuster, Convenience & Technology Package, Driver Information System w/Color Display, Dual USB Charging-Only Ports, Inside Rear-View Auto-Dimming Mirror, Leather-Wrapped Shift Knob, Radio: Chevrolet MyLink AM/FM Stereo w/8" Screen, Remote Vehicle Starter System, SiriusXM Satellite Radio, Wireless Charging For Devices. 27/36 City/Highway MPG Included 2 Year Complimentary Basic Maintenance / In Business Over 90 years / Call 1-888-844-3454 For Details. %Off Offer includes price reduction below MSRP and Cash Allowance. On Select 2018 Chevrolet Models. Not available with special finance, lease or other offers. Take new retail delivery by 04/30/19. GMF Down Payment Assistance. Cash usable only if financed through a supported or unsupported GMF contract. NOT Compatible with Standalone APR Program. Customer must qualify and finance with GM Financial. See participating dealer for details. $13,075 off MSRP! Priced below KBB Fair Purchase Price! This 2018 Chevrolet Silverado 1500 LT in Black is well equipped with: EcoTec3 5.3L V8 Flex Fuel, 10-Way Power Driver's Seat Adjuster, 110-Volt AC Power Outlet, All Star Edition, Bose Speaker System, Dual-Zone Automatic Climate Control, Electric Rear-Window Defogger, Heated Driver & Front Passenger Seats, Heavy-Duty Rear Locking Differential, Leather Appointed Seat Trim, Remote Vehicle Starter System, Theft Deterrent System (Unauthorized Entry), Thin Profile LED Fog Lamps, Trailering Package, Wheels: 20" x 9" Polished-Aluminum. Awards: * JD Power Initial Quality Study Included 2 Year Complimentary Basic Maintenance / In Business Over 90 years / Call 1-888-844-3454 For Details. %Off Offer includes price reduction below MSRP and Cash Allowance. On Select 2018 Chevrolet Models. Not available with special finance, lease or other offers. Take new retail delivery by 04/30/19. GMF Down Payment Assistance. Cash usable only if financed through a supported or unsupported GMF contract. NOT Compatible with Standalone APR Program. Customer must qualify and finance with GM Financial. See participating dealer for details. Expires 04/30/2019 - Discount only applies 2018 Chevrolet In-Stock Silverado. Get a Great Deal on a New Chevy Today! The current list of specials going on at Cox Chevy isn’t going to last! If you see a great deal on the new Chevy you’re looking for, then make your way to see us today at our Tampa area dealership in Bradenton, FL. If you’re not sure which vehicle you want, feel free to chat with our staff about which new Chevy is best suited for your lifestyle and budget. When you’re ready to find out more, stop in and see us or give us a call at (941) 749-2690.